The National Gran Fondo series chose San Antonio as the location for its Florida competition. For 2017, they offered 3 routes, all beginning in front of our shop. The image on the left provides a link to those rides, which are published on ridewithgps (clicking on the image will bring you to that site). 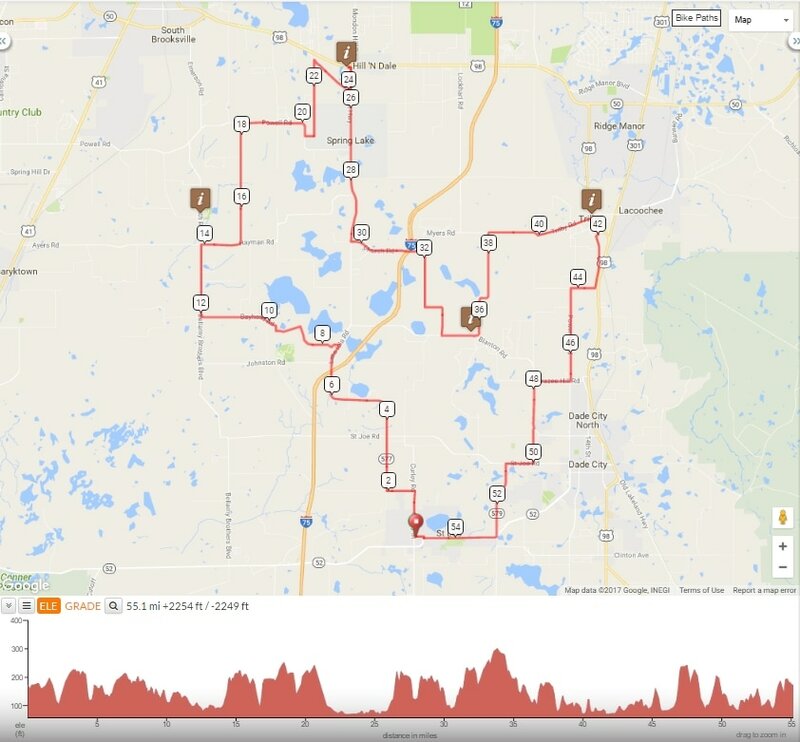 Gran Fondo decided on a reverse route than folks normally ride, so the maps below provide a link to the more commonly used rides. 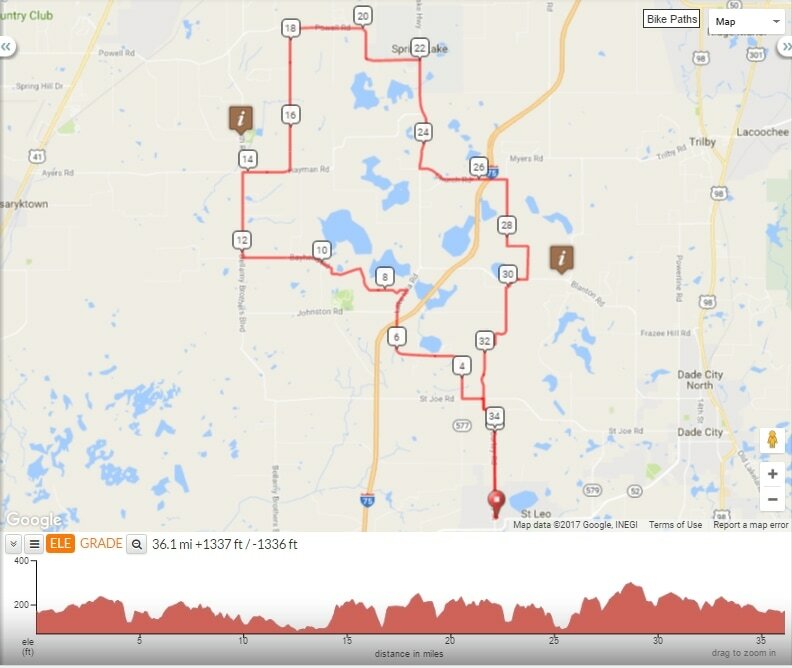 Many folks use Garmin 520 as their bike computer, and you can load these routes onto that device to give you real time directions. 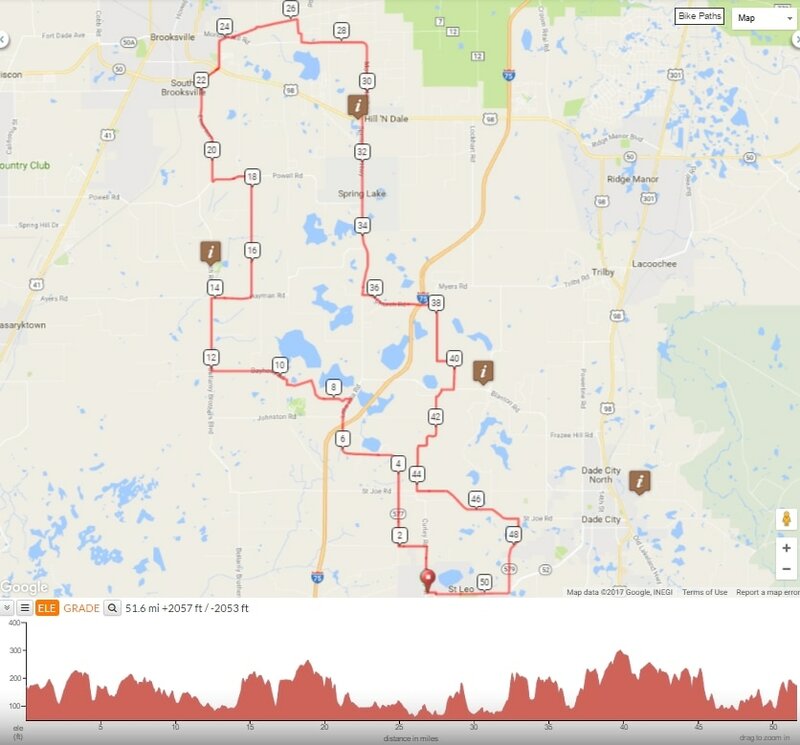 You can see instructions for doing that here: https://ridewithgps.com/help/garmin-edge-520 Look on the left side of that page if you want to load the maps into a different device. And, of course, contact the shop if you want different rides, for example, rides with more hills (a popular request) or rides with less hills.